Weekly yoga and other fitness classes. Beach Yoga, Stand Up Paddle Yoga, Wine & Yoga and More! The Bodywise Studio is nestled in the heart of the village of Elk Rapids. The building is over a century old and reflects the northern Michigan village's charm and hospitality. Class sizes are small and personal. The Rapid City Community Center, affectionately called the Little Red School House in Rapid City, embodies the history of this great state with values in education and community. The space is simple yet inviting. Changing with the seasons, join us at other local gathering places. Elk Rapids Memorial Beach is the place of our Summer Beach Yoga. Lakeland Elementary School is where the Monday afternoon fitness and kid's yoga classes are during the school year. Elk Rapids Harbor Pavilion has classes on Mondays and Wednesdays in the summer. Royal Farms Farm Market and Winery in Atwood, MI hosts some of our special summer events. 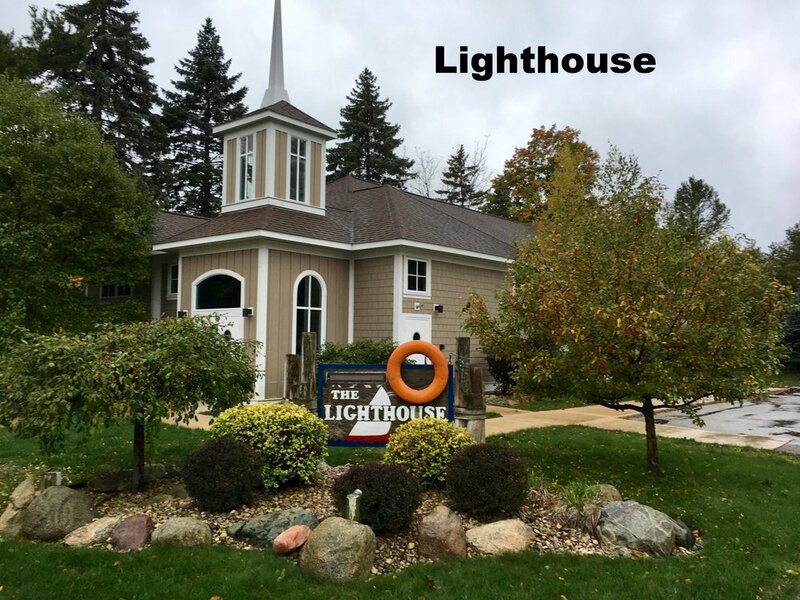 Elk Rapids First Presbyterian Church Lighthouse is an inviting place for 9 AM classes Monday, Wednesday and Friday when we are not at the Harbor Pavilion.